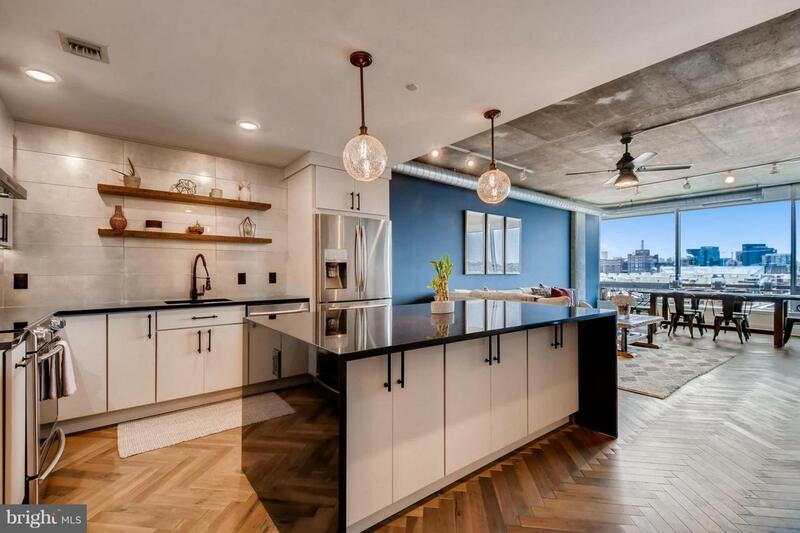 Spectacular 1 bedroom 1.5 bath Silo Point condo with captivating skyline & water views. This architecturally impressive condominium boasts over 1400 square feet of interior living space and showcases an open floor plan with floor-to-ceiling windows, walnut herringbone hardwood floors, designer fixtures, Chef's kitchen with granite waterfall island and Lutron blinds. Spacious Owner's Suite with dressing area and walk-in closet. Enjoy views from every exposure. Live the Silo Point Sky life with full service amenities; including 24-hour concierge, premier building manager, fitness center with adjoining yoga studio and private treatment room, boardroom, game room and 19th Floor Sky Lounge.